Occasionally, for one reason or another, I have started going through to rework certain older recipes. Some of them needed photography updates, others were outdated in other areas, this one though... it needed a total overhaul. 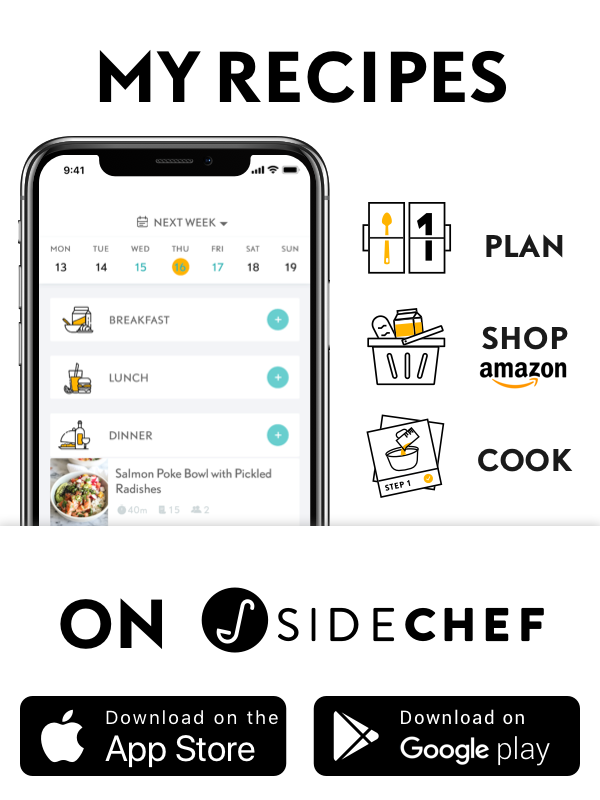 My way of cooking and my thoughts towards food have changed immensely over the years as I've grown and started to come into myself as a home cook and health nut. I never did like the original pictures that I shot to pair with this recipe, and while the recipe tasted amazing... I knew looking back at it that I could do much better by my standards today. Since we're still in the midst of pumpkin season, I thought it would be the perfect time to blow the dust of this oldie but goodie. To update this recipe, I started off with the base of my mom's Healthified Chili Con Carne (which is another recipe that I'll have to eventually update the photos for) and then added in some of the ingredients from the original pumpkin chili. I also decided to use some ‘Chili Fixins’ to get that bold amount of flavor that I was looking for. 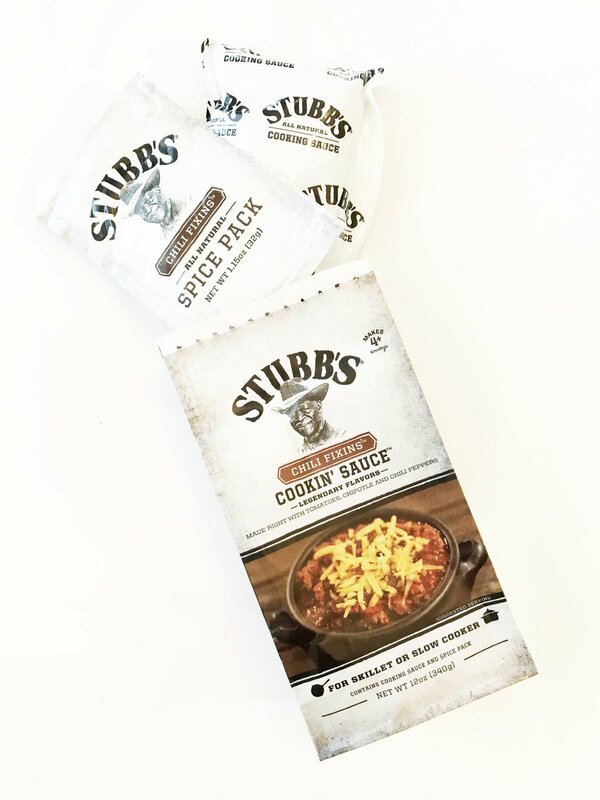 We'll be 'glamping' this year for Thanksgiving, so I'll be making this chili one of the nights and then we'll be probably trying a variation of Stubb's Smoked Turkey for our actual Thanksgiving dinner. I honestly can't wait to have my mom try this chili. Her and my dad were judges at a recent local chili cook off that stops here on the way to Terlingua for the big time competition. So, to say they know a thing or two about chili would be a bit of an understatement. Either way, this is an excellent chili and I can't wait to use up the leftovers later this week for some chili dogs, chili mac, or frito pie! What can I say? 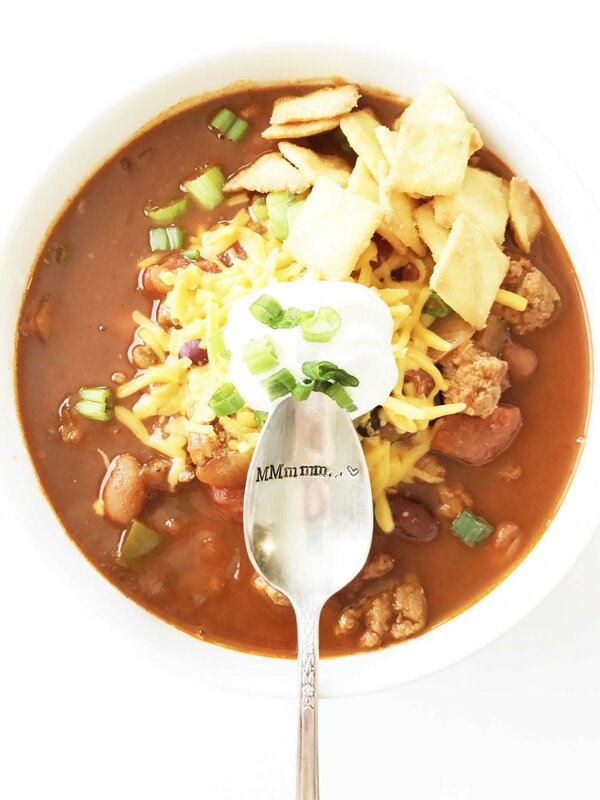 Chili is a part of fall and winter life here in Texas. Brown the turkey in a large skillet over medium heat and season with the spice pack from the Chili Fixins package. NOTE: If you cannot find any Chili Fixins feel free to substitute the sauce for 1 Oz. Can of Tomato Sauce + Southwest Style Seasoning. Once done, serve right away with your favorite toppings of choice. Enjoy!